There are times in a personal injury lawsuit when it seems none of the parties involved will agree. While that happens, it does not have to end badly. Instead, both sides can negotiate for a settlement they believe is appropriate. Let’s take a look at this dilemma. A plaintiff, the party injured in the accident by another’s negligence, has his or her life turned upside down. They may be hospitalized, dealing with broken bones, learning to navigate in a wheelchair or walker and without transportation. They might be unable to work or do common chores like grocery shopping. The defendant or their insurance company sees the situation as a temporary inconvenience, one that will eventually turn around. The two sides are, at least initially, about as far apart as they can get. Basically, the plaintiff and the insurance company cannot meet on the terms of a settlement. A personal injury lawyer might push for $1.5 million for a client, and the insurance company is only willing to pay out $250,000. If there is a large separation between the plaintiff’s demands and the insurance company’s offer, mediation might be a way to narrow the discrepancy. 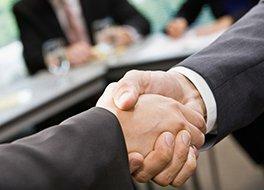 A mediator is someone who will go over the details of the case and try to come up with a reasonable agreement. Often times the mediator is a former California personal injury lawyer or judge, so they know both sides of the spectrum. The mediator will meet with the client’s personal injury lawyer and possibly the client to get their side of the story. The mediator will then meet with the insurance company to get their side of the story. Sometimes it is as simple as cleaning up the details of the case to come to a settlement. There are other times when the numbers are just not matching up, and neither side is willing to budge. If you are in a situation in which you must go to mediation, it is not the end of the world. In fact, there are many times David Azizi has helped clients receive the maximum amount in compensation through mediation. It is important to remember that a personal injury case or lawsuit is not an overnight process. There are details related to the case the accident injury lawyer must investigate. In fact, some believe that investigation is one of the most important aspects of a case. When it comes to car and truck accidents, there may be experts that will come in to recreate the scene. There will also be doctors and physicians who will testify and add their knowledge to help explain the severity of the injuries. In addition, some injuries expand over time. A back injury, for example, may appear to be healing at first but require surgery several months down the line. If a claim is rushed, the surgery and time out of work it requires may not be covered. Once a settlement is accepted, a waiver is signed refuting any further claims. 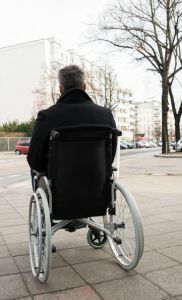 When someone is injured and needs to resolve the financial loss an accident causes, expedience is important. So is getting what will be needed to heal and move on. While we would love to help you receive the maximum compensation quickly, the legal process does take time. Mediation is one way to arrive at a just settlement without waiting too long. Please feel free to reach out to us anytime at (800) 991-5292 if you have any questions.